Using avocado oil for skin is slowly threatening the predominance of coconut oil as its benefits are once again under discussion. This fruity oil presents itself as a good alternative to supply the skin with nourishing compounds that help it regain its smoothness and healthy looks. It is also a lighter oil, which means it is quickly absorbed without leaving a greasy feeling to the skin. The benefits of avocado oil for the skin still require more extensive research to be completely proved. However, unlike its use for the hair, there are already some studies that indicate its potential for the human skin. If there is a benefit of using avocado oil for skin that stands out is clearly the moisturization it provides. According to a 2017 study, this oil is also great to treat dry, chapped and damaged skin. Avocado oil is loaded with fatty acids, vitamins A, D and E, potassium, lecithin and antioxidants that nourish and moisturize the skin leaving it smooth, strong, and beautiful. Despite being an oil, it is also great to moisturize greasy skin types as it doesn’t worsen these conditions due to its fast absorption and light touch. According to a 2011 research, the avocado oil shows promising results in providing basic protection to the skin against the UV damages, besides helping to restore the skin in case of a sunburn. This effect is yet to be tested and confirmed by further studies, as this conclusion is solely based on the nutrients of this oil and their potential and not on a direct trial. According to a small 2001 study, the topical application of avocado oil can help treat and prevent certain skin diseases such as psoriasis. During the research, a vitamin B12 cream with avocado oil was tested again the effects of vitamin D3. In the first weeks, the latter performed significantly quicker than the avocado oil cream. However, its effect began to subside after that while the cream with avocado oil remained constant through all the treatment. So far, no human trials were performed to confirm this effect. 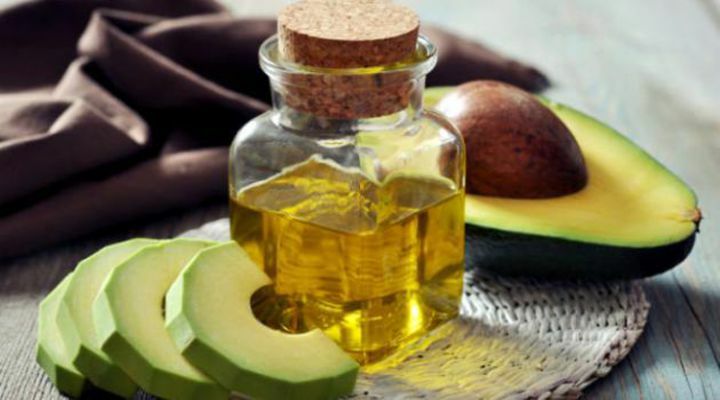 Nevertheless, a 2008 study evaluated the impact of an oral and topical application of avocado oil for skin healing in rats and concluded that it increased wound contraction and speed up its healing up. A 2013 study reached similar conclusions too, as the avocado oil increased the collagen synthesis and reduced the number of inflammatory cells in the affected area, prompting a faster wound recovery in rats. The anti-inflammatory properties of this oil that help with the treatment of wounds can also be beneficial to treat acne. Since it is also a light oil, besides supporting the disinfection of the skin and the treatment of acne, it also helps to moisturize the skin without worsening the problem. It is very easy to use avocado oil for skin care as it doesn’t need to be warmed or mixed with other ingredients to produce its effects. You can, however, prepare several beauty recipes with this oil to reinforce its efficiency. You can use avocado oil for skin care on its own. All you have to do it dip your finger in a bit of the oil and apply it directly to the skin. Make sure to use small amounts each time so the oil is quickly absorbed and doesn’t leave a greasy feeling. If you’re into aromatherapy, this oil is also a great carrier for essential oils. You can mix 10 drops of avocado oil with essential oil for wrinkles or acne, for instance. Dip your fingers in the oil and apply very small amounts to your face, while massaging with circular motions to ensure its proper absorption. If you have a greasy skin or acne, wait for a few minutes before washing your face thoroughly to rinse off the oil. For other skin types, you can simply leave the oil on overnight and wash it off in the morning. Since to use avocado oil for skin you need to apply small amounts each time, using it as a body treatment can be burdensome. The simplest way to apply this oil is then by adding a few tablespoons of this oil to your bath and let it work its magic while you relax. Besides moisturizing the skin, this oil also works to prevent the water from drying it any further. The beauty applications of avocado oil are still understudied, but researchers have been paying more attention to the possible benefits of its intake. Kidney damage: according to a 2017 research, this oil can help to reduce oxidative damage to kidneys in type 2 diabetic rats. Cholesterol: avocado oil is as good as olive oil in helping to reduce the levels of “bad” cholesterol in white rabbits, according to a 2003 study. Arthritis: early research suggests that avocado oil may help reduce the symptoms of pain and stiffness associated with arthritis, according to a 2010 review. The effects of avocado oil for skin are still understudied and further research is necessary to fully assess its efficiency as well as any risks associated with its use. The risk of allergies is small but possible with this oil. Do not use it if you are allergic to this fruit. Always patch test the oil before applying it to your skin, particularly if your intent is for it to help with acne and psoriasis. The three are very similar regarding their applications and nutrients. Given its high content of oleic acid, avocado oil resembles the olive oil more closely, but it is lighter than this and has a higher smoke point. This means that when used for cooking, it maintains its nutrients intact at higher temperatures. Avocado oil also has more vitamins than olive oil, but it loses to it when it comes to anti-inflammatory antioxidants. As for the coconut oil, the main difference between the two, besides the texture at room temperature, is that the coconut variety has wider and stronger antibacterial and anti-inflammatory properties.